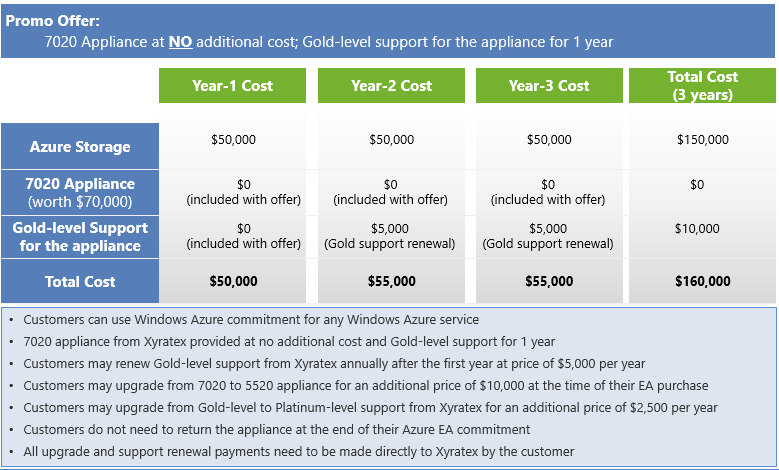 With the recent acquisition of StorSimple, we have an interesting offer for Windows Azure customers. Till December 31, 2013, customers who sign up for Windows Azure with an annual minimum commitment of US$ 50,000 of Windows Azure credit will receive a StorSimple 7020 appliance that supports up to 200 TB of storage on the cloud. We will also throw in free gold support for the appliance for the first year. The StorSimple is a unique, cloud-integrated storage solution, that works differently from conventional storage. If you are in Qatar and would like to take advantage of this opportunity, contact me. 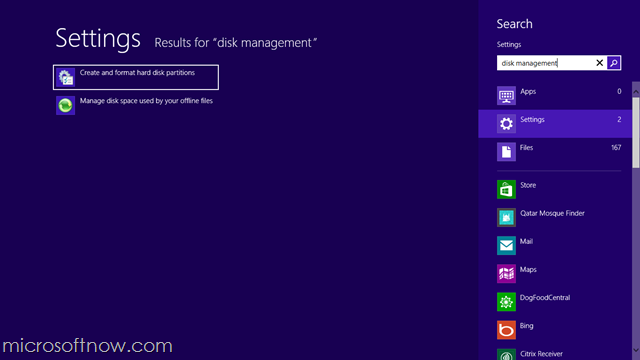 You can access the Windows Azure blob storage by setting up an FTP server connected to it. For this you will need to create a Windows Azure VM running Windows (or Linux for that matter) that will host the FTP service. Each VM gets its own public IP and DNS name on the internet which you can use to access your FTP service. In this example, I will show you how you can create a Windows Server VM on Windows Azure and configure it as an FTP server. 1. 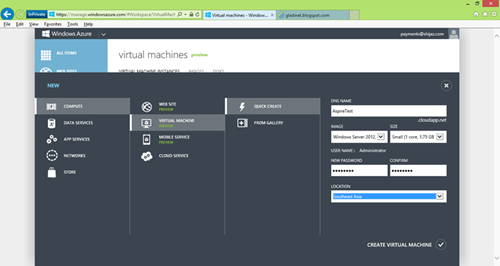 First create a Windows Server VM on Windows Azure. I used Windows Server 2012. 2. Connect via RDP to the newly provisioned VM and install the Web Server (IIS) role. Make sure you enable the FTP Server role services for the IIS role. I am assuming you already know how to add roles to your Windows Server and use the Remote Desktop client on your computer. 3. Create FTP site on IIS: Open the IIS Manager console, right click on Sites, and choose Add FTP Site. 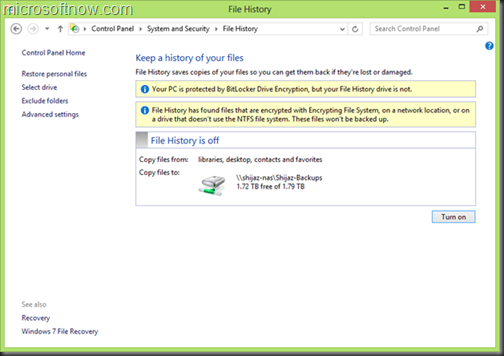 Specify the FTP Site Name and Local Path for the FTP site. Click Next. Specify binding and SSL information. Hit Next. Specify authentication options, click Finish. This is just a test environment, so I’m just going to use the local administrator account for FTP login. Of course, in production you wouldn’t want to do that for security purposes. 5. 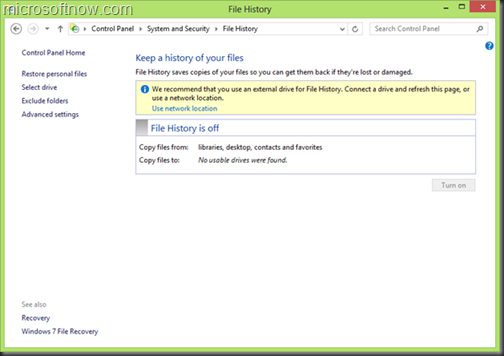 Set External IP address on your IIS FTP server. This should be the public IP of your Azure VM service. You will find this IP listed on the right side of the VM service page on the Windows Azure Management Portal. For Active FTP, you only need ports 21 and 20 to be opened. However for Passive FTP you will need to define a range of ports on the IIS FTP server and open them in Windows Azure, by defining them as “endpoints”. a) First, define the port range on IIS using an elevated Command line using APPCMD utility, located at the System32\inetsrv in the Windows folder. In this example, we are defining the port range as 7000-7014.
b) Now you need to define these port numbers as endpoints on Windows Azure. 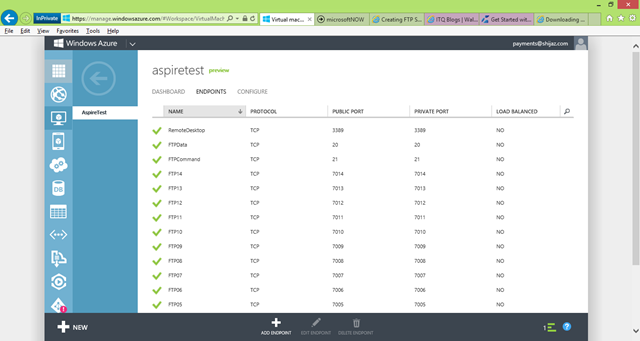 You could do it manually in the Windows Azure management portal, one by one. You do this by going to Virtual Machines > [Your VM] > Endpoints. However, defining 15 points manually is rather tedious, so you can leverage PowerShell commands. To use PowerShell, you need to make sure you download and install Windows Azure PowerShell on your computer. 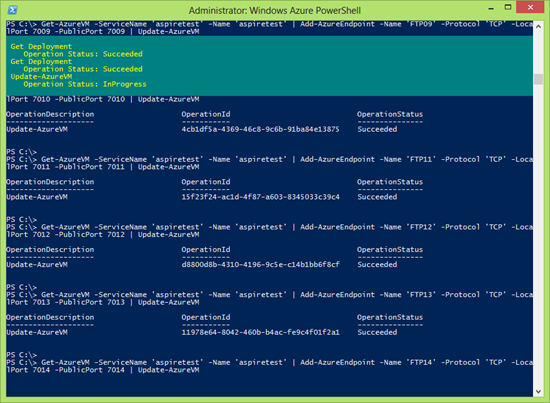 Before you can use PowerShell cmdlets on Azure, you need to publish the settings file for your Azure account. You can use the Get-AzurePublishSettingsFile cmdlet, which will help you download the actual settings file that corresponds to your Windows Live ID associated with your Azure account. After you download this settings file, you can import it to PowerShell by using the Import-AzurePublishSettingsFile cmdlet and you’re good to go. 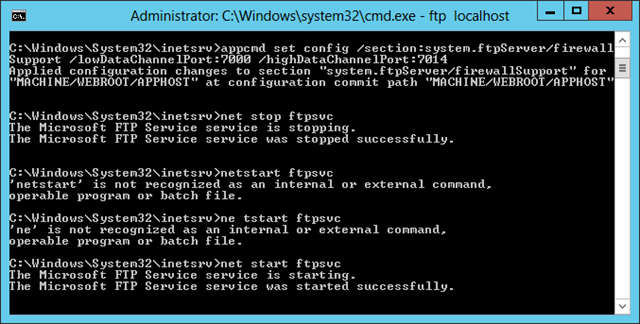 Then, restart the FTP service. If you are successfully able to connect, you are all set! 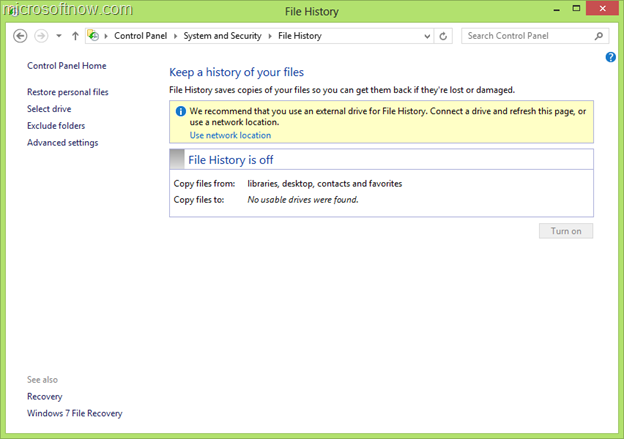 Fire up your favorite FTP client and you can now use FTP to upload and download files from new VM hosted on Windows Azure. If you got yourself a 32GB Surface RT device, then by now you would have realized that you have under 20GB of space left after the Office 2013 and Windows updates got installed. 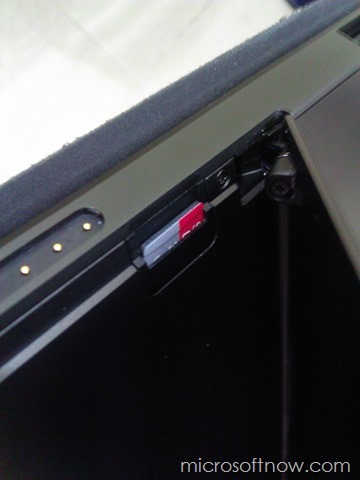 Fortunately the Surface RT device comes with a microSD slot (located underneath the kickstand), and you can easily insert a 32GB or 64GB SDHC/SDXC microSD card into it to increase the storage space. However, the added storage appears as a separate drive on the device. Not very useful if you use Libraries (and you probably would). Also, you cannot add a removable device as a Library location for Documents, Pictures and Videos. 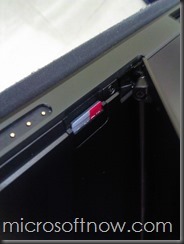 Insert the microSD card into the slot underneath the kickstand on your Surface RT device. 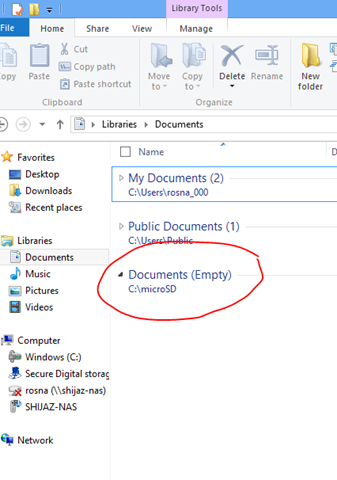 Create a folder ‘microSD’ on your C: drive. You will find the removable disk in the console. 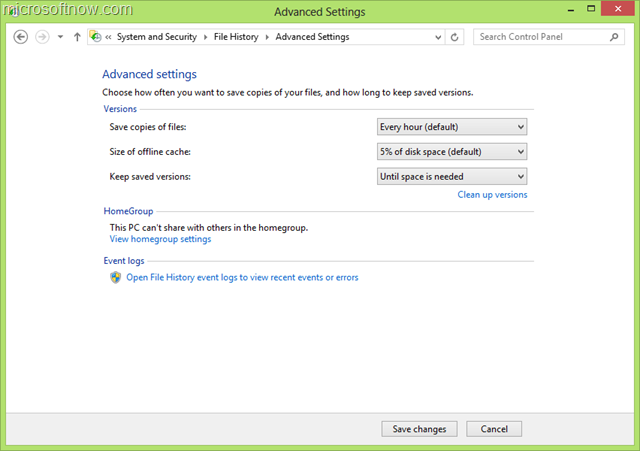 Right click the microSD card and choose ‘Change Drive Letter and Paths’ option. Choose Add and enter C:\microSD and click OK.
Now the C:\microSD folder is mapped to your microSD storage. 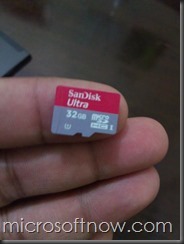 You can now add the microSD card as a storage location on your Documents, Pictures and Videos libraries. 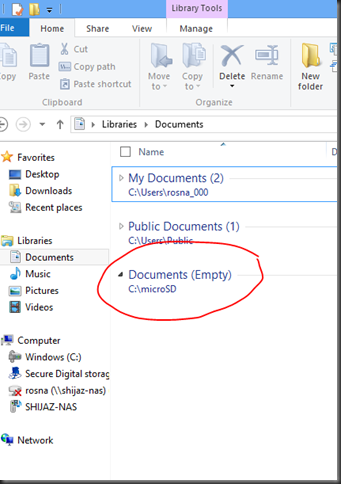 For example, to add it as a location on your Documents library, open Computer > Libraries > Documents. Right click on the Documents library and choose Properties. 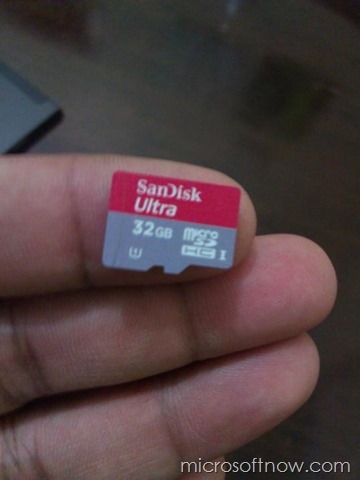 Choose Add and then add the C:\microSD folder as a location. 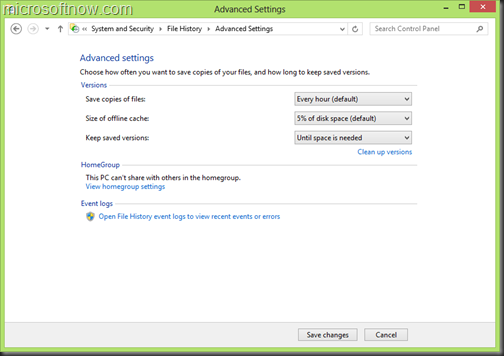 You can also create subfolders in the microSD folder and use separate subfolders for Documents, Pictures, and Videos.